Krista and her team were absolute life savers! Krista attended to every detail and left no stone unturned. She was dedicated to making our day perfect, and it came through in everything she touched, which quite honestly was everything. Beginning planning our wedding, we were overwhelmed. There were so many details to consider, so many questions and so many things we did not want to overlook. Our biggest concern leading up to the wedding was to enjoy the wedding planning process and create a day that reflected us and our relationship. The best advice I received from a friend was to hire someone to help us with all those pieces. Looking back at our wedding day, I am so grateful that I took that advice. The initial consultation call we had with Krista made me certain we needed her involved in our wedding. Krista’s attention to detail made sure that no stone was left unturned and in the end we had our dream wedding! The best part of having Krista involved in our wedding was that she always advocated for us. Planning a wedding was uncharted territory for us, and in a lot of cases we did not know what to ask for or when to push back on something with our vendors. Krista always stepped up and advocated for us, asking the difficult questions and ensuring that we got the most from all our vendors and venue. This was so wonderful as it removed us having to have sometimes difficult conversations but also helped to make our wedding come together beautifully. Krista helped with more than logistics with our wedding. She had advice when dealing with difficult interpersonal situations that arose, she helped with our rehearsal ensuring everyone knew their role and she always - ALWAYS - put us at ease - and that should not be overlooked in the months, days and hours leading up to your wedding! On the day of our wedding, everything was a breeze. All our vendors were organized and not one issue came up. Looking back on our wedding day, we are so thankful to have the constant support of Krista and her team leading up to and on our wedding day. There was not one issue the entire day, and if there was Krista dealt with it and we never heard about it. I can’t go without mentioning is how Krista helped everyone at our wedding. When an elderly guest needed assistance getting to his car, Krista was on it, when I needed assistance getting my veil out, Krista was on it, when flowers stained one of my bridesmaids dresses, Krista was on it…I could go on and on. One of my favourite moments of working with Krista was right before I walked down the aisle, she was there helping to get my dress just perfect and right before the doors opened she gave me the biggest smile and said “Are you ready?”. Without her by my side I would have been more stressed leading up to that moment, but right then I had a smile ear to ear and the only thing on my mind was marrying my best friend. Krista - thank you for taking us on as a client, for becoming a friend, confidante, and always always having our back. You helped us create our dream wedding and we can not thank you enough for everything. Krista of KJ and Co. was the guiding hand and emotional rock I needed to get through the planning process. I was overwhelmed by the sheer amount of planning needed to have the wedding at my family's farm, and turned to Krista for help. She took my vague ideas and turned them into my dream wedding. Always conscious of our budget and our design aesthetic, Krista made our big day into absolute perfection. The day went perfectly under Krista's watchful eye, with a calm professionalism that made it easy for me to be calm and enjoy the day! I honestly don't know what we would have done without Krista. She was amazing! She was professional and organized. Her worksheets were helpful with keeping on track. Having her at the venue the day of the wedding was invaluable. Highly recommend! THANK YOU, again, from the bottom on my heart. We have already commented on your expertise in all things design, budget and logistics related - all more than we could have hoped. Your attention to even the smallest details was so keen, the list could go on and on. You have a gift for making a space more lovely because of your attention. Now I want to thank you for your incredible administration our busy weekend. Kimberly’s wedding was everything we hoped and more. The weekend included more details than I could track, all planned with your loving guidance over so many months. When we walked into both Friday & Saturday’s events – they were all perfectly executed. The layout and design decisions for the wedding reception were fairy-tale beautiful. Each of the decisions, floorplan, flowers, chandeliers, dance floor, table settings, all came together to create a truly magical setting. More importantly, you made it look easy. Our guests felt surrounded by love and warmth from the moment they arrived. Your attention to the small things for our guests – closing the side drapes of the tent so that the sun was not bothersome until it set, arranging the first charter bus back to the hotel to leave early, and many other acts of kindness were noticed and appreciated. Both Friday and Saturday’s events required hours of set up and coordination – starting long before we arrived, and continuing after we left. You were tireless and always so warm – not only with Kimberly & Matt and our families – but with all our guests. The best part of the weekend was that we knew that we were in your good hands, that our role was to enjoy our family and friends, and celebrate Kimberly & Matt’s marriage. We have never hosted a large event before where we were this relaxed and able to be so “in-the-moment”. This was an incredible gift from you. Again, we cannot thank you enough. We knew the planning and design was something we wanted to tackle on our own. Our biggest concern was that something major would go wrong that would completely ruin the day. We could not believe the amount of coordination and running around that was done the day of. Looking back we seriously could not imagine how our wedding day would have gone without Jacqui and Jenn there! Having a coordinator truly put our minds at ease throughout the entire planning process and wedding day. Having the worksheets kept us on budget and on a timeline. It's so easy to fall behind in the planning process but checking in with the worksheets was so amazing. Having a coordinator the day of the wedding allowed us to be in the moment and let the small details or issues be taken care of by Jacqui and Jenn. The girls really had all things covered. Fixing broken bridesmaid dresses, having bobby pins and hairspray for the girls hair, moving our cocktail hour out of the rain and even shaking the ants out of my dress that I somehow managed to pick up at the beach. Having them there at the ceremony to coordinate timing was so helpful. Everything from the meet and greet to the end of our wedding day, the KJ and Co. team was amazing. They are an incredibly professional and talented team. "I was not the bride who knew what she wanted and Krista helped create an absolutely perfect day for us, one that represented us 100%." I pretty much knew what I wanted for my wedding, but the task seemed daunting to bring it to life and handle all of the details. My biggest concern was getting the kind of wedding I wanted for the budget I had in mind. The relationships Krista has with other vendors helped us to get not only discounts, but the best service. Every vendor was excited to work at our wedding because it was a KJ & Co. affair! Having a wedding planner allowed me to fully enjoy my wedding day without stressing that it wasn’t going to go according to schedule, or that it wouldn’t look how I had envisioned it. Krista was more to me than a wedding planner, she was a friend and guidance counsellor throughout the entire wedding process. Even though Krista was 9 months pregnant (!!) she was fully involved in our wedding day from the beginning until the late night tear down. Krista was on site at the reception venue to make sure everything was set up according to our design plan and at the church to make sure the ceremony ran smoothly. I would definitely recommend KJ & Co to any engaged couple. I could not be more grateful for the time, thoughtfulness, and effort Krista put into creating not only the day of our dreams, but in making the entire planning process so relaxed, fun, and truly memorable. "I LOVE working with Krista! She is professional, organized, hands on, and has incredible taste and design insight. Hiring Krista is the first thing you do after you answer YES!" Krista has an amazing way of capturing the vision of any bride she is working with! She made our wedding day set up a breeze and everything looked beautiful! Thank you Krista for making our wedding day amazing and a day that we will never forget! THANK YOU, THANK YOU, THANK YOU! Where do I begin… When we first met I knew Krista was the perfect person to have help plan our day. She has a quality that made me feel like I've known her for ages. From our Williams meetings, to our many emails, to August 29, 2015 it was such a pleasure working with Krista. Our Wedding Day will have me raving for years to come. It was an absolute dream come true and all thanks to her tireless planning and assertive attitude! When we arrived at the venue I was overwhelmed with how beautiful everything looked. As I think back to the day, we didn't even chat too much, only early in the morning. It all happened so fast and I didn’t even find myself concerned throughout the day. Probably because I knew Krista had it all handled! We will forever speak highly of KJ and Co. and wish Krista all the best! We know she will make many other brides (and grooms) the happiest people in the world. Like you did for us! It was all so surreal. To say that Krista is an incredible part of the wedding industry would be an understatement. As a professional photographer I know that when KJ and Co. is behind the wheel of a wedding day it's going to be as close to perfection as possible. She is wonderful to work with, a real sweetheart to the core, and just plain great at what she does! Great at keeping everything in order so that other vendors can do their job and our couples can simply relax and take in their stunning wedding day. Having Krista as your planner is no doubt a phenomenal decision and she's always on our list of recommended planners! "She really thinks of everything." Looking back on my wedding day, it is difficult for me to imagine how any bride makes it through without the help of a trusty wedding planner - and Krista was the perfect choice for me. Though I was a hands-on kind of bride who didn't require full planning services, I did hire Krista to help with partial planning and coordination. Thank god I did. Not only did she help me select nearly every vendor, she went above and beyond to alert of me great sales, interesting decor ideas, and met up with me multiple times to keep my deadlines (and sanity) in check. She really thinks of everything. On the days leading up to our wedding, she confirmed all my vendors for me. That was a huge relief, as I was busy finalizing the details I wanted to worry about (speech, vows, etc.) And on the day of... wow. From start to finish Krista was on top of every single thing. When certain obstacles presented themselves (which they always do, as I've been told), Krista resolved the problem before I ever knew it existed. I received so many compliments on her services from my wedding party and my family. Many people commented on how professional, friendly, and thoughtful she was. Long story short... I was a bride who wasn't sure I "needed" a planner. Immediately upon hiring her, I quickly realized I would have been so lost without her and that I would not have enjoyed my day nearly as much without her there making sure everything was perfect. Thank you, Krista! KJ and Co. provided design and coordination services for our fall 2015 wedding. Krista's design proposal was so helpful - after meeting with us to learn about our vision, she was easily able to take all our inspiration and ideas, infuse her own personal touches and help us to end up with a beautiful and cohesive design. It was beyond what we could've hoped for! Krista's vendor recommendations were excellent and her plans made communicating our look to others so much easier. Her own collection of rentals and suggestions on where to purchase other items made all the small touches easy. Krista is very organized. Her planning spreadsheets keep everything in order, and she helped keep us on track throughout the planning process with regular reminders on outstanding tasks and vendor suggestions. Krista was always very quick to respond to questions via text, email or phone. She was great at listening to our suggestions, and either finding a way to make it work taking into consideration our space, budget and priorities, but also letting us know when something was unrealistic. The best part of working with Krista was that on our big day, we could just relax and know everything was in great hands with someone who knew the plans better than we did. Thanks to KJ and Co., we had an absolute blast and didn't worry about a thing. Our wedding day just wouldn't have been the same without Krista & team from KJ and Co! From the planning process all the way to the big day Krista kept us organized, on budget, hooked us up with amazing vendors, and worked her magic on the big day. Krista is a delight to work with. She is positive, professional, and really shares in the wedding excitement with you! I know there were so many final details that Krista took care of on our wedding day (and the days leading up) that helped us keep our stress levels down and made the day run that much smoother. For that I'm forever grateful! I will be recommending Krista & KJ and Co to all the soon to be brides that I know! We allwould recommend Krista to any of our friends getting married. She is a star - made things seamless for us and made sure we kept things light and fun throughout our whole day. We could not have done half of what she did without her attention to detail, work ethic and efficiency. "I would highly recommend Kj and Co.! Because of Krista, Shawnna and her girls my wedding day ran perfectly smooth. I did not have to worry about a thing and actually enjoyed every minute of my day without any stress whatsoever!" "I'm not sure how I would have done it without Krista!" Initially I thought I would love wedding planning and design. But I knew that I would need some expertise support along the way. We wanted to have a really fun wedding that wasn't just a celebration of the two of us, but also our families. Being together for 10 years - this was a big celebration! We also had a fairly large wedding, so dealing with all of the challenges that come along with that too. How quickly time creeps up! You think you have this whole year and it's going to be so much time, but it goes by so quickly. I think the KJ and Co. timeline that sets out the to do list each month was so helpful. With KJ and Co., you know that someone always has your back and knows the way things are supposed to work. The week or two leading up to the wedding and day of - I'm not sure how I would have done it without Krista! Knowing that she was always there! Krista was never stressed out about anything that came up, which made me calmer! I would definitely recommend KJ and Co. to family and friends. Honestly, it's such a huge stress relief to know that there's someone who completely understands your vision and you have full confidence in to execute everything you imagined. It was perfect! To sum it all up – Krista is amazing! Everything was done so well and was everything we imagined! There truly are no words to explain how amazing Krista from KJ and Co. was on the day of our wedding! She and her assistant helped everything run flawlessly and she ensured my husband and I had the most perfect day ever. From the first meeting to the day of Krista was professional, responsive and so so friendly! She is knowledgeable, enthusiastic and a dream to work with! I would highly highly recommend her services to anyone getting married! Thanks so much Krista, you are amazing! "Thank you for really getting to know us and helping us create a day that was a true reflection of us!" I have sat down several times over the last week, trying to find the right words to thank you and I’m struggling finding a word that conveys how appreciative and grateful we are for everything you did for us leading up to our wedding and on the day of! How do you thank someone for helping make your wedding day beautiful, special and oh so much fun? Life is about experiences and you made the experience of our wedding day perfect! Simply put, you are awesome! Leading up to our wedding, you always answered every (silly) question we had, you were always well prepared for our vendor meetings, you reassured us in times of stress, you provided great advice (including finding images that would work with our vision and helpful check-lists/spreadsheets), and you juggled both our surprise first dance with the surprise slideshow our family pulled on us! Our wedding day could have potentially caused us a lot of stress but instead, we were both so relaxed, happy, and so excited on September 20! Neither of us worried about anything, knowing you had everything under control and were managing everything behind the scenes. The whole day, the whole look - everything felt like ‘us’! The moment I walked into the barn for the first time, I thought ‘Yup, this is what I envisioned!’. The entire look was so appropriate for the barn - we got so many compliments from our guests about how beautiful, warm and inviting everything looked! And your rentals completed our look….the welcome table, sweetheart table and cake table were so beautifully styled! Thank you for really getting to know us and helping us create a day that was a true reflection of us! Having a wedding planner for the year was one of the best decisions we made when it came to planning our wedding! Krista, it’s obvious you love your job! You were a pleasure to work with! THANK YOU SO VERY MUCH!!!! "Deciding to get a wedding planner/coordinator was the best decision my husband and I made. From that point on the wedding process felt stress free and was actually becoming enjoyable again!" "We would have been completely overwhelmed without your help." We really underestimated the amount of effort it took to coordinate all the vendors leading up to the ceremony and the day-of. Even though we did a lot of the sourcing and coordinating at the beginning, and that seemed like a lot of work, we had no idea how much more work it was going to be. Your team really came through for us. We would have been completely overwhelmed without your help. Honestly, we loved every minute of the wedding. You arranged everything beautifully; it looked even better than we imagined. Any time Dani was stressed or worried at the venue, you came to the rescue. The best decision we made throughout this whole planning process was hiring KJ and Co to provide partial planning for our wedding. Krista was absolutely amazing! She was organized, efficient, helpful, and a pleasure to work with! Our wedding day was stress free knowing that Krista was there to keep everything organized. Her rental items are beautiful, and provided a special added touch to the day. We received so many compliments from guests admiring the decor. The day went perfectly as planned and I cannot thank KJ and Co enough for helping to make our day so special! "It was the best call I ever made!" Krista was an absolute saviour! I beyond recommend her for all of your event planning and decor needs. I was a DIY bride who called in Krista for consultation and day of coordination - it was the best call I ever made! Future brides - I know we can do it all but the last thing you want to be doing on the big day is worrying about set up! Sit back and enjoy every moment that you slaved over planning! Leave it to Krista to carry out your vision! She will not disappoint! "She was someone I could trust to coordinate the biggest day of my life." My biggest concern was that I'm very particular and have a hard time delegating - so when it came to the day of our wedding I knew I couldn't be there to set everything up and oversee it all and my biggest concern was leaving all that in someone else's hands. From my first meeting with Krista, I knew right away KJ and Co. was just what I was looking for. She was someone I could trust to coordinate the biggest day of my life. At first I was a little worried that I wouldn't have enough one-on-one time to go over all the details that I had planned and there were A LOT of details! Krista was amazing to work with over email and at our site visit I couldn't believe how quickly we worked through everything. I thought that I had every single detail covered - but Krista brought up some points that I never would have ever thought about! I can't even begin to say how amazing Krista was to work with. "Having Krista on our team meant that I could really enjoy the experience." KJ & Co. has great relationships with vendors and refers with honesty and integrity. I was never surprised by anyone that Krista referred me to, as I entered into vendor conversations with a solid base of knowledge around quality of services provided. I loved that our meetings were extremely intentional and we also took time to just chat about wedding stuff. She made the lead up fun and worry free! I tell all my friends that a Wedding Planner was the best investment that we made during the year leading up to our wedding. Having Krista on our team meant that I could really enjoy the experience. Spend time with my family and friends and trust that they were enjoying the experience as well. The payoff for me was really evident on the day of the wedding. We were relaxing, drinking champagne and getting primped while Krista and her team were transforming the wedding site. Stepping into the wedding space before the ceremony and seeing how stunningly beautiful it all was and the relaxed looks on my loved ones faces was priceless. I hate feeling stressed. I hate it when the people that I love are stressed. When I dreamed about my Wedding day, stress was never a part of the equation. Having Krista on our team meant that I could actually have the day of my dreams - Stress Free! I come from a family of Doers. We make things happen! Our wedding also took place in my parents’ backyard. One of the highlights of my wedding day was when Krista arrived and the only request made to my family was to relax and let her do her thing! It was so nice to see my Parents be able to enjoy the experience and know that Krista had it under control. Even more than this though, is the little details that Krista brought with her services that are still talked about today. A great example is the little mailbox used as a Gift Box. Adorable! Everything was strategically placed and totally in line with the feel and flow of the day. Would I recommend KJ & Co. in the future? YES! YES! YES! Krista has great taste, a great grasp on vision, works with you to get the best while staying within budget, and takes an amazing amount of care around creating your perfect day. A wedding planner was the best investment we made throughout our whole wedding planning process. I just wanted to take a moment to let everyone know that we had the pleasure of working with Krista and her team and it was exactly that.... a pleasure. It's nice to see a wedding planner that really takes the time to make sure the details are on track not only with the bride and groom... but with the vendors as well. Sometimes people don't realize how important it is to look at all aspects when coordinating on the day of. Krista definitely does. You won't regret working with Krista and her team of pros. "Krista can put your mind at ease over any issue." I would definitely recommend KJ & Co. Krista knows everything there is to know about weddings and is 100% reliable. She has great taste and style, not to mention some amazing pieces in her vintage rentals collection. But most of all she is great at listening to what you want and helping you achieve it, regardless of how things are usually done. She is able to give advice and support while being respectful of your choices. She is highly creative and you always feel good about leaving things in her hands. For anyone who has felt the stress of planning a wedding, Krista can put your mind at ease over any issue. She always thinks about the details. But most of all she is a pleasure to work with and be around. 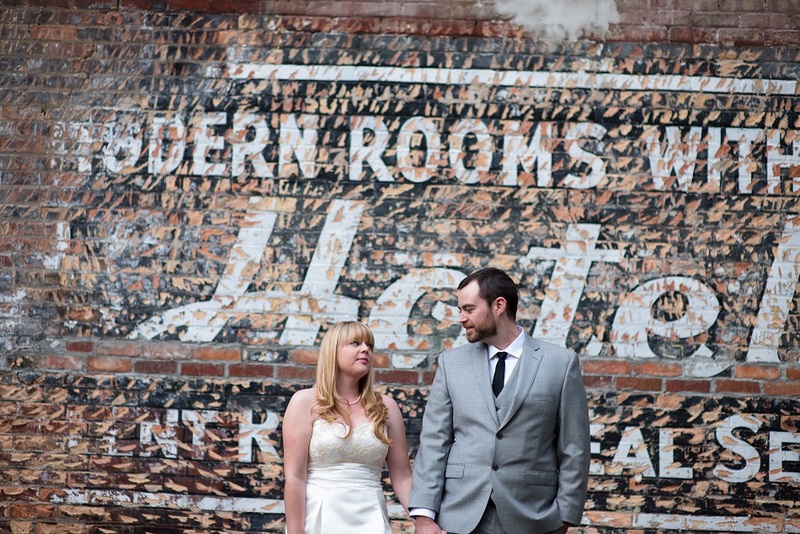 "Krista made it seem easy - something we never thought a wedding day could be!"